a. The Luxembourg Art Prize is organised by the Pinacothèque of Luxembourg, a not-for-profit association under Luxembourg law (hereafter referred to as “the Organiser”). b. It aims to reveal and promote talented artists who have yet to establish a profile on the contemporary international scene. c. Its function is to discover artists, and it is open to any artist, amateur or professional, with no limits on age, nationality or place of residence. d. The ambition of the Prize is to accelerate the careers of little-known artists by providing a museum-quality exhibition space for a group exhibition by the finalists and an exclusive professional network, of which finalists become members for life free of charge. e. The Prize is endowed with an unconditional cash award for the Winner whose amount and payment terms are described in article 5.11.
f. Works submitted to the Luxembourg Art Prize may be in any medium: drawing, printing, installation, painting, performance, photography, digital art, sculpture, sound art, video, mixed media, decorative art (textiles and material, glass, wood, metal, ceramics, mosaic, paper or other techniques). g. No specific theme is imposed on the works of art submitted by the artists. 1.1. A call for submissions aimed at all artists (with no limits on age, nationality or place of residence) able to submit contemporary production is published on the Prize website (www.luxembourgartprize.com) and publicised more widely on the Internet. 1.2. Candidates must submit their applications electronically via the website www.luxembourgartprize.com before April 30 at 23:59:59 (Luxembourg time). 1.3. An additional period of a few days may be granted to candidates, though this is neither mandatory nor systematically applied, to enable them to complete their applications without stress and to meet the level of quality required. 1.3a If such an additional period is granted, it will be mentioned on the website home page and will be granted to all. 1.4. To submit an application, each candidate must create a personal candidate space online. 1.5. Each candidate may only have one candidate space. 1.6. When your application is complete, this is automatically indicated by the server in your candidate space with a message that your entry is ready and there is nothing left to do. 1.8. At least one work must be presented in the submission. 1.9 There is no maximum limit on the number of works that can be presented in a submission. 1.11. Entry for the Luxembourg Art Prize is subject to the prior payment of an entry fee to be paid online and acceptance without reservation of these Rules. 1.12. The entry fee to be paid by candidates is €55 to take part in one edition of the Luxembourg Art Prize. 1.13. The registration fee remains valid in all cases, except in the exceptional cancellation circumstances referred to in Articles 12 and 14 of these regulations. The registration fee is paid in full to a company specializing in information technology that uses its expertise and know-how to manage the secure online application submissions. VAT (Value Added Tax) may apply, depending on the country of the candidate. 1.14. The entry can only be accepted if the submission criteria are met and the required information and documents are enclosed. 1.15. Candidates may update and complete their submissions online as many times as necessary until the deadline for submissions. 1.16. The application is a single file that can be reused beginning with the 2019 edition. 1.17. In order for the application file to be examined by the selection committee, the entry fee must be paid by the deadline for the call for submissions. 1.18. NOTICE: All incomplete applications will be studied as is by the selection committee, subject to article 1.17 of the regulations. 1.18a. Any additional information provided by the applicant after the deadline for submissions will be refused. 1.19. Candidates who provide untrue information, who are not the creator of the works they present or who pay the entry fee through fraudulent means will be banned from entering the Luxembourg Art Prize for life. 2.1. The finalist artists will be selected at the discretion of the artistic committee on the basis of the entries submitted online by the candidates. 2.2. The artistic committee of the Luxembourg Art Prize is chaired by Hervé Lancelin, a respected art collector with an international reputation. 2.3. The artistic committee will consist of one or more qualified members. 2.4. The qualified members may be curators or directors of art museums or foundations, journalists, art critics, art historians, gallery owners, exhibition curators, collectors, artists, intellectuals, writers or service providers in the art world. 2.5. At least 10 (ten) candidate artists will be named as finalists by the artistic committee for the award of the Luxembourg Art Prize. 2.6. This number of finalists may be increased without prejudice on an exceptional basis if it proves particularly difficult to distinguish between the candidates. 2.7. The selection of the finalists will be announced no later than 30 June during the day on the Luxembourg Art Prize website, on social networks and individually by e-mail to the addresses given by the finalist artists in their respective submissions. 2.8. An additional selection of artists will be made in order to constitute an unpublished waiting list. 2.9. The artists placed on the waiting list are not informed that they have been placed on the waiting list. 2.10. If any of the finalists are unavailable or decide they do not wish to take part before the group exhibition, the artistic committee meets and selects the artist on the waiting list who is best able to replace the missing finalist. 2.11. The artist on the waiting list who is chosen will then become an official finalist, replacing the missing artist, who will permanently lose the status of finalist. 2.12. The artistic committee does not issue individual opinions on the submissions, but only an overall assessment and statistical data on all the entries received. 3.1 The finalists take part in a group exhibition at the location and on the dates indicated on the website home page. 3.2. Each finalist artist must exhibit the work selected by the Luxembourg Art Prize artistic committee. 3.3. This work must be included in the submission completed by the candidate and may under no circumstances be replaced by another that was not part of the submission. 3.4. The organizer is a museum and does not provide the commercial services that art galleries commonly do. 3.5. The final choice of the work selected for each finalist, and the way it is presented in the group exhibition, will be decided by the artistic committee. 3.6. The artistic committee reserves the right to refuse any work that does not match the submission or the description on the basis of which it was selected. 3.7. All works exhibited must remain in place throughout the group exhibition and cannot be replaced by others unless they are destroyed or damaged accidentally. 3.8 In the exhibition space, an area easily accessible by the public will be reserved for the finalists to display business cards or any other personal promotional materials. No other areas of the exhibition space may be used for this purpose. 4.1. The costs associated with travel to and accommodation in the Grand Duchy of Luxembourg for each finalist artist and one other person of their choice are paid by the Organiser for a period not exceeding 4 (four) days excluding travel time, including the opening day of the finalist artists’ group exhibition. 4.2. All finalist artists undertake to be present or represented in the Grand Duchy of Luxembourg for a period not exceeding 4 (four) days excluding travel time, including the opening day of the finalist artists’ group exhibition, whose dates are decided by the Organiser. 4.3. The Organiser arranges return transport for finalist artists and their companions by rail if the artist’s usual place of residence is in a country bordering the Grand Duchy of Luxembourg or by air if the artist’s usual place of residence is in a country that does not border the Grand Duchy of Luxembourg or by a combination of rail and air if a direct journey is not possible by air or rail alone. 4.3a. The artist and their companion must have the same arrival and departure points. However, they may travel on different dates. 4.4. The Organiser sends travel documents to the finalist artists and their companions within 10 (ten) days before the opening of the finalist artists’ group exhibition. 4.5. The Organiser also pays the accommodation and catering costs for the finalist artists and their companions for a period not exceeding 4 (four) days excluding travel time, including the opening day of the finalist artists’ group exhibition. 4.6. The Organiser books hotel rooms for the purpose on the basis of dual occupancy (each artist with their companion). 4.7. Each finalist artist must inform the Organiser if they want a room with a double bed or two single beds. 4.8. 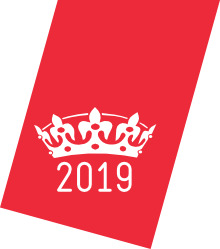 The candidates are invited to research as early as possible whether their journey to the Grand Duchy of Luxembourg will require a passport and possibly a visa (https://maee.gouvernement.lu/en/services-aux-citoyens/visa-immigration.html). 5.1. The Luxembourg Art Prize is awarded at the opening of the finalists’ group exhibition by an independent final jury, who will submit their votes to the Organiser during the days before the finalists’ group exhibition. 5.2. The final jury will be appointed by the Organiser. 5.3. The Organiser’s employees, founder, affiliates, suppliers and members of their families may not be part of the final jury. 5.4. The members of the final jury may be curators or directors of art museums or foundations, journalists, art critics, art historians, gallery owners, exhibition curators, collectors, artists, intellectuals, writers and/or service providers related to the field of art. 5.5. Each jury member declares on his or her honour that he or she has no personal or professional relationship with the finalist artists. 5.6. Each jury member awards each finalist artist a score corresponding to a number of points ranging from 1 (for the lowest-placed artist) to a number of points corresponding to the total number of finalists (for the highest-placed artist). 5.7. Each jury member may only award each score once. 5.8. The Winner is the artist who is awarded the most points by the members of the jury. 5.9. If there is a draw, the vote will be repeated for the artists placed equal until a Winner is chosen. 5.10. The number of points obtained by the finalist artists is not published and is not communicated to the finalist artists. 5.11. The winner of the Luxembourg Art Prize is awarded a cash prize of 50,000 EUR (fifty thousand euros), payable within 30 (thirty) days of the awarding of the Luxembourg Art Prize by transfer to the bank or postal account of the winner or a member of their family at a banking, postal or financial institution located in their country of legal residence. 5.12. In accordance with regulations, the award cannot be paid in cash or via money transfer services such as Western Union or MoneyGram. 6.1. All the works submitted to the Organiser must be clearly identified with the full name of the artist, the title of the work and year of production, with, if necessary, an indication of hanging direction (top and bottom markings). 7.1. The works selected by the artistic committee will be exhibited to the public by the Organiser on a not-for-profit basis. 7.2. The works are entrusted to the organizer for a period of 6 months. They will be returned to the artists once this period has expired, at the expense of the organizer. 8.1. The transport and handling of the works exhibited by the finalists and the Winner are organised and paid for by the Organiser (i) from the addresses given by the artists in their respective submissions to the Grand Duchy of Luxembourg and (ii) from the Grand Duchy of Luxembourg to the addresses given by the artists in their respective submissions. 9.1. During the finalists’ group exhibition, the Organiser leaves the respective artists free to take out insurance against damage in transport, theft, fire and deterioration for the works exhibited or not. 9.2. The finalist artists release the Organiser from any responsibility for any damage that could have been covered by insurance taken out by the artist. 10.1 Within thirty (30) days of the expiry of the period of 6 (six) months described in paragraph 7.2 of article 7 above, works will be returned to the artists at the addresses given by the artists in their respective submissions under the terms of article 8 above. 11.1 Press and public relations are handled by the Organiser and its partners. 11.2 The artists taking part in the Luxembourg Art Prize give the Organiser the right to reproduce the information presented in their submissions free of charge in perpetuity for promotional purposes in any medium, electronic or not (press releases, websites, social networks, catalogues, mobile applications etc.). 12.1. The Organiser reserves the right to postpone or cancel the Luxembourg Art Prize if circumstances require it, e.g. if the submissions received do not allow for a selection of finalist artists meeting the quality criteria of the artistic committee. 12.2. In the event of an exceptional cancellation following a case of force majeure as defined in article 14 below, the entry fee will be refunded in full to the candidates. 12.3. The Organiser cannot be held liable for any postponement or cancellation. 13.1. The artists expressly agree that their personal data will be processed by computer by the Organiser in the terms of the amended Luxembourg law of 2 August 2002 on personal data protection (hereafter referred to as the “2002 Law”). 13.2. In the form for creating a candidate area, candidates are asked to expressly agree to the electronic processing of their data by ticking an acceptance box. 13.3. In accordance with article 28 of the 2002 Law, candidates have the right to access, object to and correct data held about them in the candidate area dedicated to each candidate. 13.4. The artists acknowledge and accept that their personal details may not be communicated to third parties except where required in application of a legal or regulatory provision or for the normal organisational purposes of the Luxembourg Art Prize and the Organiser’s events associated with the Luxembourg Art Prize. 14.1. The Parties will not be responsible for failure to execute their obligations if a case of force majeure arises, defined as any unpredictable, unpreventable event arising from circumstances external to the Parties. 15.1. These Rules are subject to Luxembourg law. Any disputes that may arise between the Organiser and the artist(s) will be submitted to the competent courts in the judicial district of the City of Luxembourg. However, the Organiser reserves the right to take action before any other competent court. 15.2. As these Rules are translated from French into several languages, the French-language version is considered the reference version in the event of any dispute or translation error. 16.1. The artist declares that he or she has read these rules and expressly accepts them in full and without reservation.